Cricket is a very popular game in the Indian sub-continent and fans tend to take the results of match a bit to their heart. By past experience, the match between India and Bangladesh will be a nail biter, but one thing Bangladeshi fans need to learn is sportsman spirit. 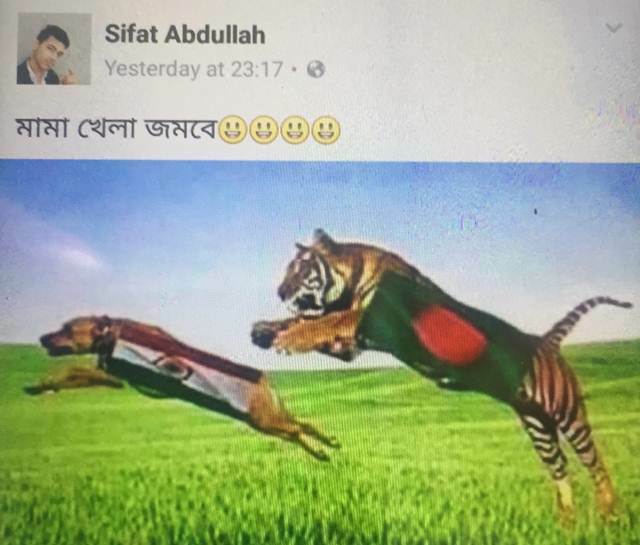 In the ICC World Cup 2015, India won the India Vs Bangladesh match quite easily as the Indian batsman Rohit Sharma played a superb innings; however, a controversial umpiring decision which went against Bangladesh made its fan so angry that they started using their photoshop skills to insult India. 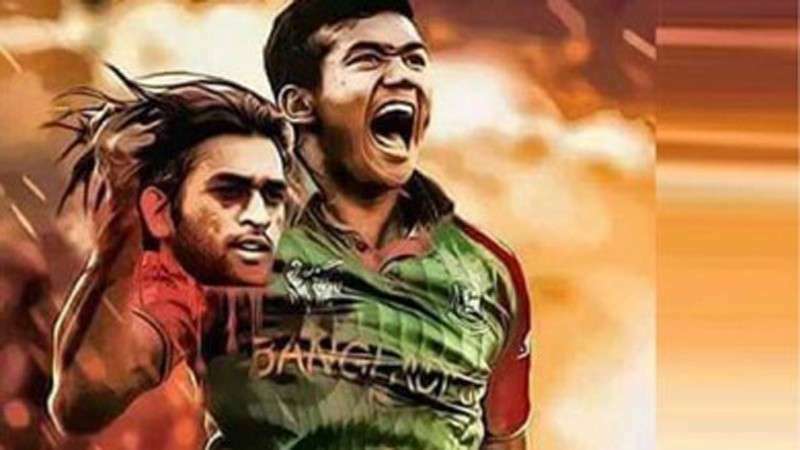 The first such incident happened when a photoshopped image went viral on the Internet and showed a Bangladeshi bowler Taskin Ahmed holding the head of M. S. Dhoni who was Indian skipper at that time. The incident was slammed heavily by not just Indians but cricket lovers from all across the globe. Now the two neighbors are going to face each other again in the semi-finals of ICC Champions Trophy 2017 at Edgbaston, Birmingham, on Thursday and once again, photoshopped images are showing up on the internet, mostly to irritate and insult India.